"If we work our butts off to make sure that we take back all three chambers of Congress — uh, rather, all three chambers of government: the presidency, the Senate, and the House," Ocasio-Cortez said on Saturday while on a call with Justice Democrats. "Maybe instead of Republicans drooling over every minute of footage of me in slow-mo, waiting to chop up word slips that I correct in real-tomd [sic], they actually step up enough to make the argument they want to make: that they don’t believe people deserve a right to healthcare." 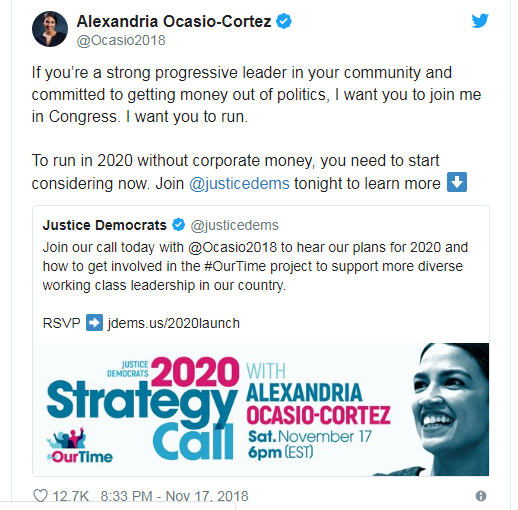 Ocasio-Cortez urged people to join Justice Democrats' #OurTime campaign on Saturday to help them identify Democratic House incumbents that are "demographically and ideologically out-of-touch with their districts," the Huffington Post reported. 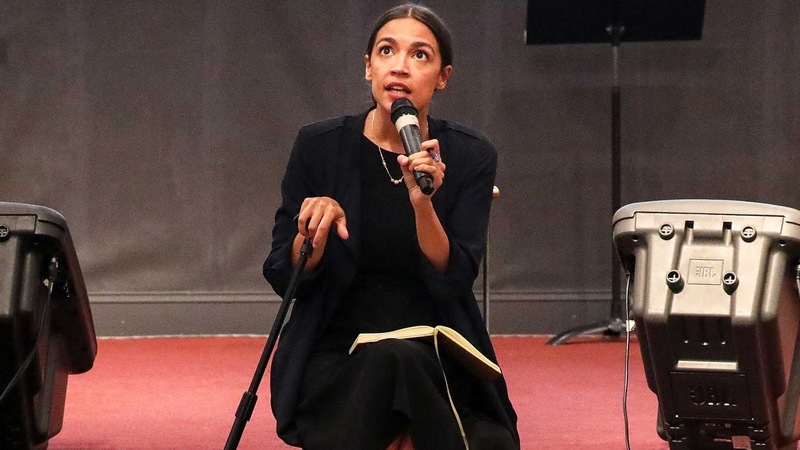 In other words, Ocasio-Cortez endorsed a campaign that says that people can't represent those who are "demographically" different from them, which is the very definition of racism.